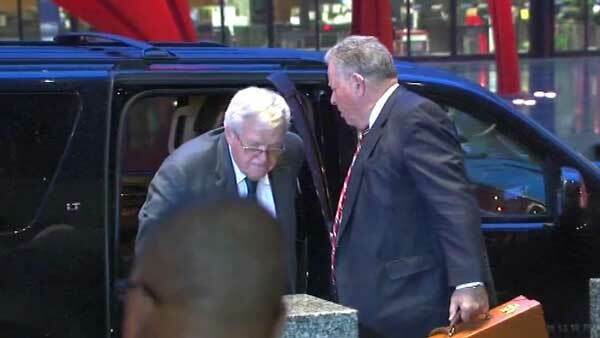 Former House Speaker Dennis Hastert arrives at the Dirksen Federal Building. CHICAGO (WLS) -- Disgraced former House Speaker Dennis Hastert has an honorary degree from Northern Illinois University and now there's a call to revoke the recognition. The Survivors Network of Those Abused by Priests is asking NIU's board to follow the lead of others who have stripped Hastert of honors. The university gave him the symbolic degree in 1999. Hastert has pleaded guilty to breaking banking laws in a hush money scheme. He'll be sentenced in February 2016.